Love vintage treasures? 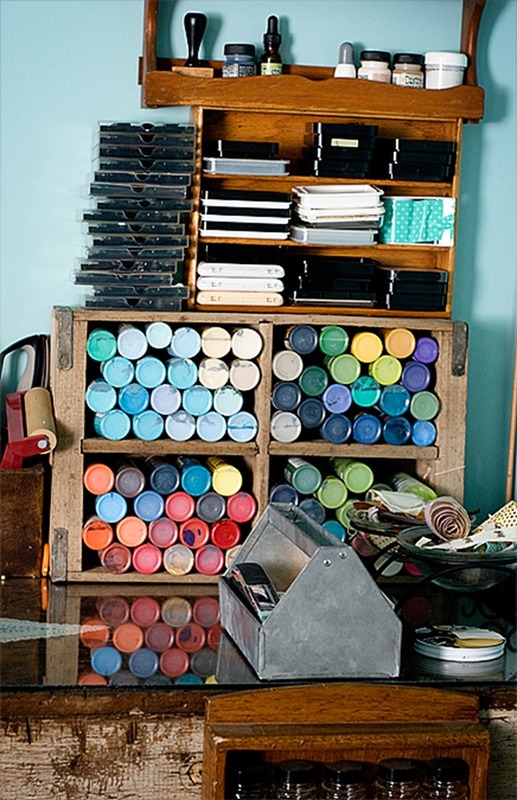 Do you dream of a room full of crafty supplies and vintage containers all around you? You will love this creative space! This fabulous vintage style craft room belongs to Kendra McCracken. 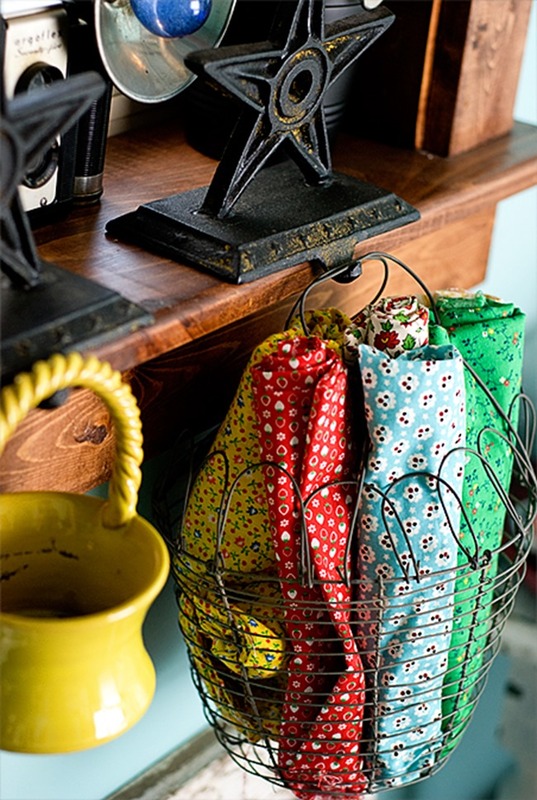 She has a knack for finding the perfect vintage goodies, and today I’ll show you a peek inside her lovely vintage inspired craft room. You’re going to be looking up yard sales in your area in minutes! Just look at this photo for a moment and take in all the details. Wow, this kind of collection doesn’t happen in a weekend. 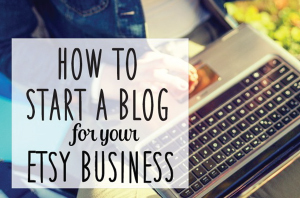 But, it’s always a good time to start! 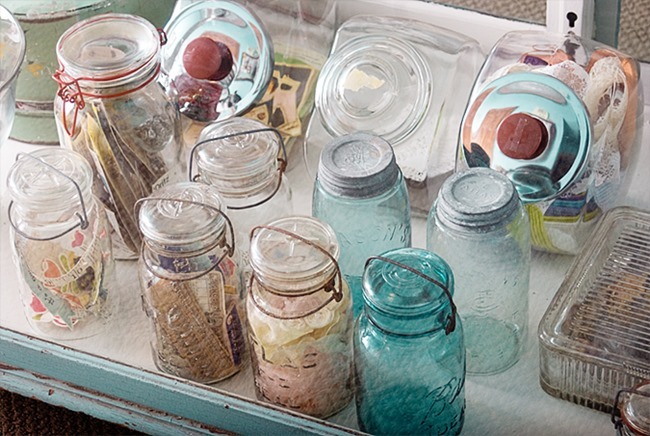 Glass canning jars are used for storing little things. She found some of these for less that a dollar!! I just paid $12 for one mason jar last weekend, so I need to learn a few vintage shopping skills for sure…ha! 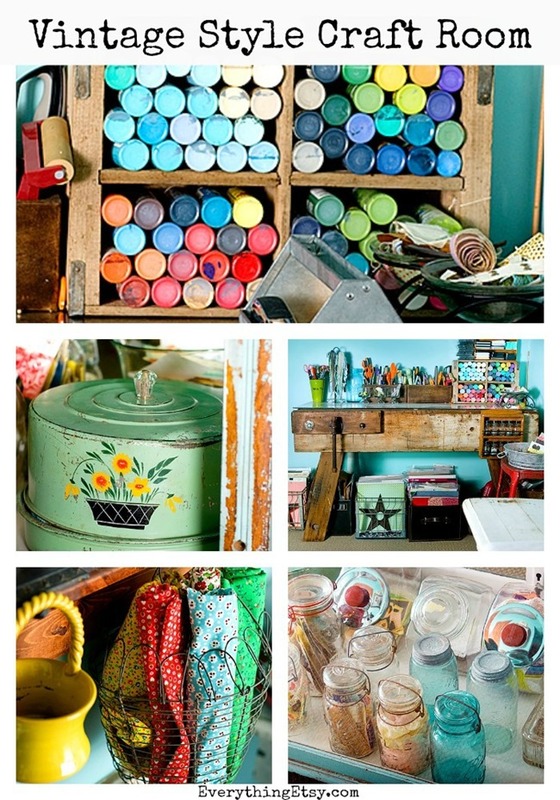 Paints are stored in an old soda pop crate…just beautiful! There’s so much to see in this amazing craft room and Kendra tells the story of how she found many of the vintage items. She has a beautiful style! You’ll want to visit Kendra McCracken’s blog to see all the beautiful photos of this vintage style craft room. 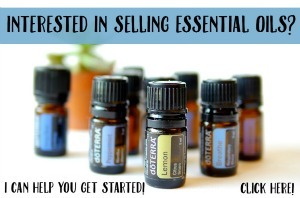 Looking for more craft room goodness??? 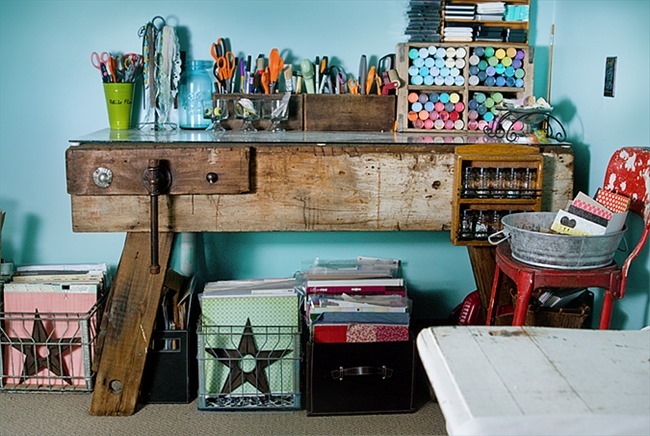 Check out this selection of 25 Beautiful Craft Rooms! Don’t you want to start shopping for vintage treasure right this very minute??? I know I do! Fantastic post! I’m lucky to have a dedicated craft room ~ and now I realize how lucky I am to have a fair number of family treasures that I can repurpose as craft room storage & décor! Going to run around my house and look at everything in a whole new way. Previous Post Jane Austen Knits Magazine Featured Our Tote Bag!